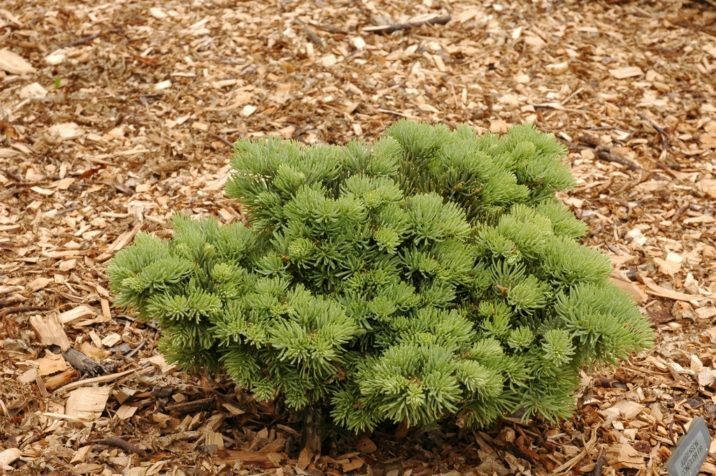 Abies concolor 'Jurgenson' is a dwarf selection of White fir with an attractive mounded, dome-like form and interesting seafoam-green foliage that is slightly shorter than that of the species. After 10 years, a mature specimen will have a 12 to 18 inch (30 - 45 cm) spread, but will be significantly less than 12 inches (30 cm) tall, suggesting an annual rate of growth of 1 to 2 inches (2.5 - 5 cm) per year; more outward than upward. This cultivar originated as a witch's broom found in 1996 by Iowans David Horst and Casey Walker in a tree at a private residence in Clinton, Iowa. The name of the property owner was "Jurgenson," hence the name. The original broom was said to be 30 inches (75 cm) wide and 24 (60 cm) inches tall with a nice compact form. Unfortunately, shortly after the first couple of harvests the mother tree was removed from the property. 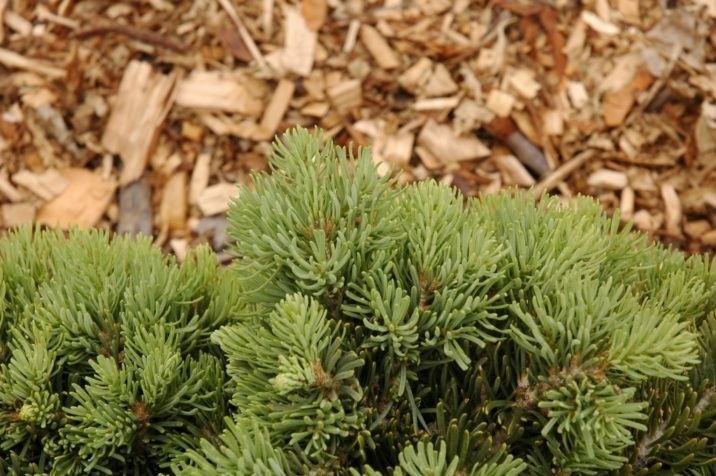 Abies concolor 'Jurgenson' — a closeup of foliage detail. Abies concolor 'Jurgenson' — a nice mature plant.